With a couple unavailable players in key places, Ernesto Valverde had to make some changes, moving Nelson Semedo from the right side to the left of the defense, with Sergi Roberto taking up the right side. Arturo Vidal took Arthurs? 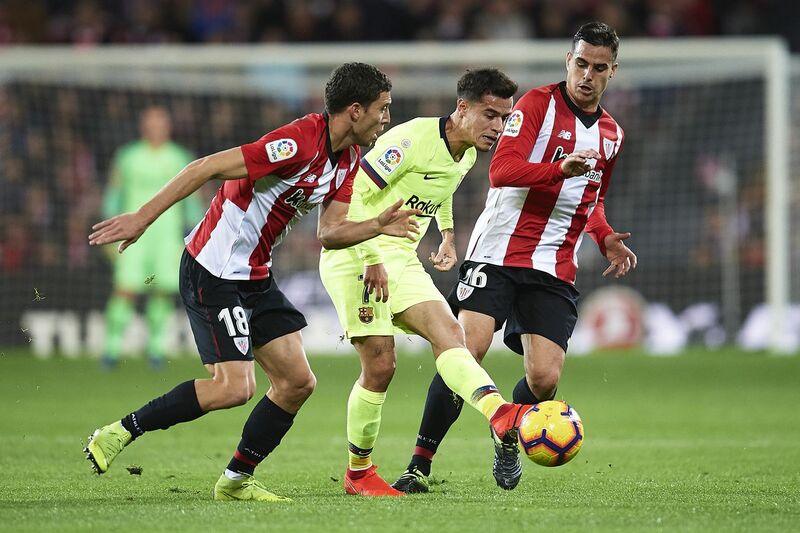 spot in midfield while Lionel Messi was deemed fit enough to start the tough away game, while Ousmane Dembele took a seat on the bench for the first time since picking up the ankle injury against Leganes. The match started with both sides playing a high-tempo game, as Barcelona looked to control the ball amid high press from the home team. The first good look for either side didn?t come until the 11th when Vidal turned the ball over in midfield to send Yuri Berchiche sprinting past Roberto. The former PSG man fired from the left wing, but missed the far post by about a foot.